Place tape just below the pencil line along the entire hull on both sides. 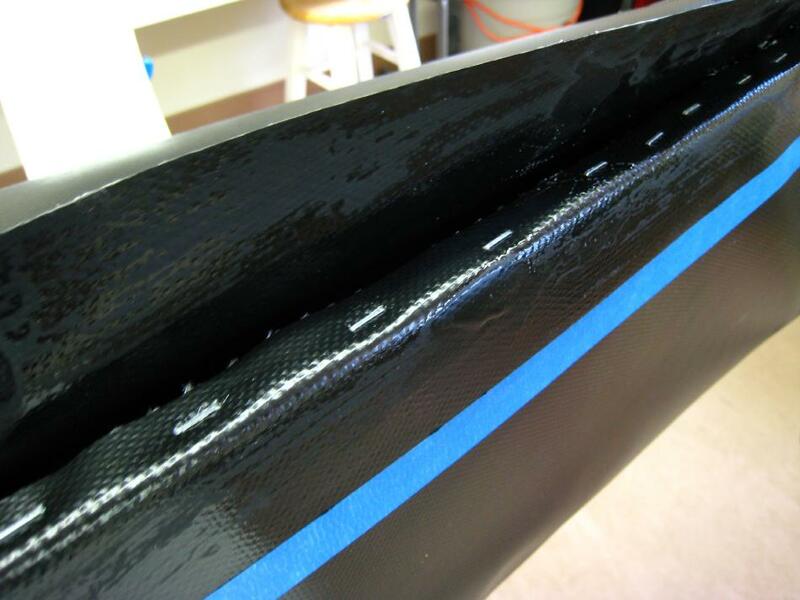 Apply 2 coats of glue to the hull and to the underside of the deck ( 1″ wide). Allow to dry completely.